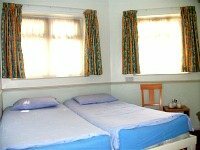 If you are looking for budget accommodation in a convenient location, book now to secure a room at Commongate Hotel London! Located in the East of London, you will be able to walk to nearby Walthamstow Central Station to travel on the London Underground to visit famous places such as Buckingham Palace, as well as visiting a number of nearby local attractions. You could relax with a picnic in Lloyd Park, and you could also view one of the exhibitions at the nearby William Morris Gallery. 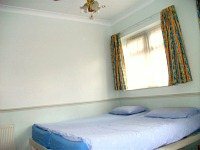 Commongate Hotel London provides affordable accommodation with 30 single, double, twin and triple sized rooms all with ensuite bathroom. 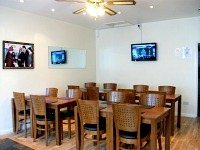 In your newly refurbished room you will find also a number of convenient facilities, including a desk, tea and coffee making facilities, colour TV and a DVD player. You can request a wake up call from the 24 hour reception and then take your time to relax and enjoy the delicious full English breakfast served every morning in the breakfast room. During your stay you will find a number of popular local attractions in the areas surrounding Commongate Hotel London. You can visit the William Morris Gallery to view the displayed works, stroll in Lloyd Park or on the Lea Valley Walk, or visit the nearby Vestry House Museum or Lea Valley Experience Museum. To get to Central London you can walk to Walthamstow Central Station and hop on a tube into the city centre and explore famous attractions including Buckingham Palace and Oxford Street. Commongate Hotel London can provide private car parking (available for a fee on request). An iron and ironing board and a hairdryer are also available on request. 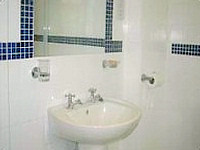 Walthamstow Central Station is the nearest tube station to Commongate Hotel London, served by the Victoria Line. Leave Walthamstow Central Station onto Hoe Street and turn to your right. Start walking and you will come to Queen’s Road on your right, where you need to turn and walk to the end of the road. 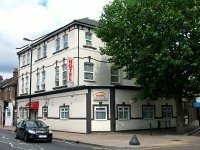 Turn again to your right into Markhouse Road and you will find Commongate Hotel London located numbers 131-133.